Designed for professional pilots to embed core skills and knowledge to recognize and solve all weather stall and airplane upset conditions. This 3-day, 4-flight/5-mission Upset Prevention and Recovery Training (UPRT) course comprehensively addresses the UPRT fundamentals, plus dedicated instrument recovery training. This all-attitude/all-envelope UPRT course answers the needs of professional pilots and corporate flight departments seeking the minimum investment required to develop lasting skills to combat Loss of Control In-flight (LOC-I). This is called a 4-flight/5-mission program as the original 4th and 5th flights have been combined into one longer flight based on client-stated preferences. This course includes three initial flights dedicated to the fundamentals of advanced stall and upset training. 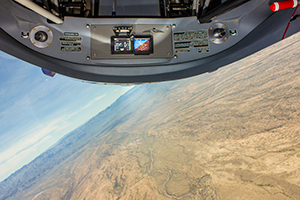 The 4th flight is a higher density training flight that accomplishes two missions by combining instrument-only recovery, and a thorough spin awareness session into one flight. As in all APS courses, clients receive comprehensive ground, flight, and post-flight instruction on situations from stalls and unusual attitudes to fully developed spins, and also includes basic all-attitude maneuvering to reinforce awareness, prevention, and recovery skills. Aircraft upsets and unusual attitudes can happen just as easily in instrument meteorological conditions as they can in visual meteorological conditions. This program firmly establishes the critical core UPRT skills for all-weather pilots to be able to consistently and effectively recognize, prevent and, if necessary, recover from a developing or developed airplane upset event. Any of the enhancements below can be added onto your base program. Only enhancements recommended by APS for the Professional Pilot Upset Training course are listed.